… an outrageously decorated apartment of mystical creatures, to Frank Gehry’s unconventional methods of constructions and onto some of the most exotic places you’ll find in California. Let’s start again with world renowned starchitect Frank Gehry. 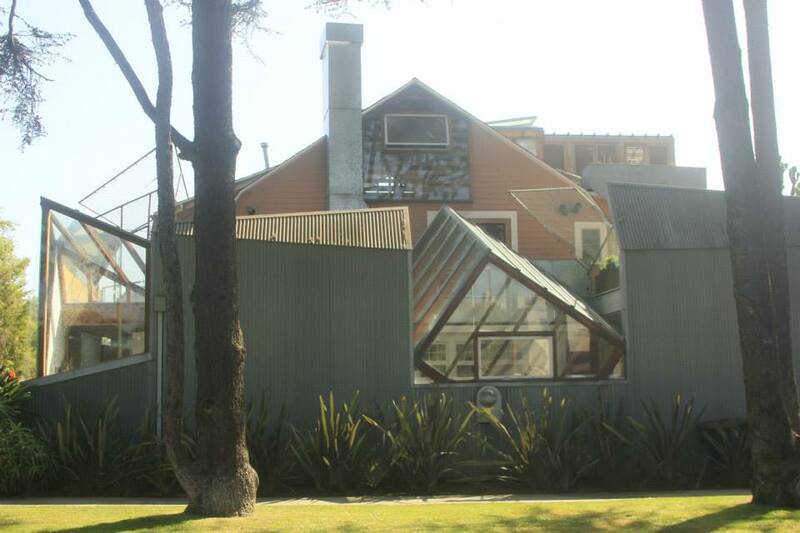 The Gehry Residence features fences that are out-of-place, unpainted wood, aluminum stack that doesn’t work, roofing materials that used as walls, oddly placed glass cubes, and other unusual designs. Gehry still lives in this house today. 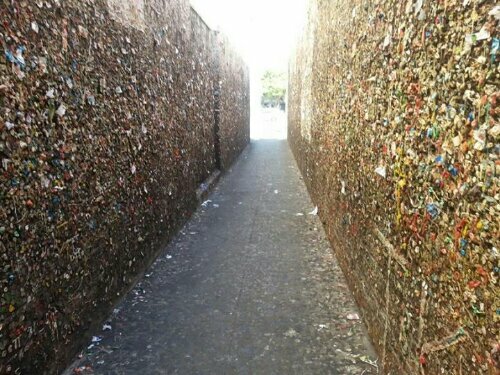 In Downtown of San Luis Obispo, you can find an alley filled with bubble gums. Where do you find the largest tree on Earth? 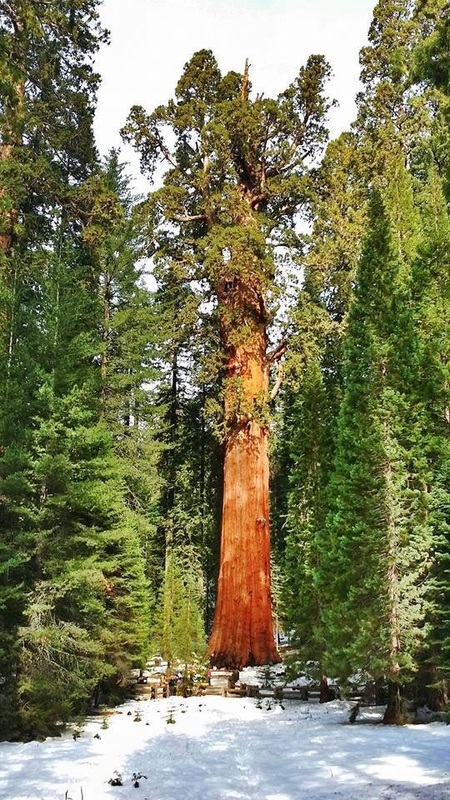 General Sherman, the largest tree on Earth, can be found in Sequoia National Park. … with dramatic desert settings all created by Ricardo Breceda. Where do find the lowest point in North America? 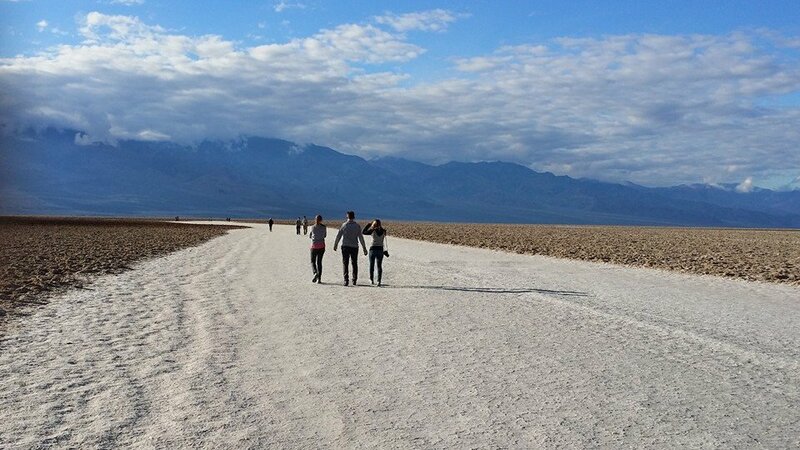 Badwater Basin can be found in Death Valley National Park. You can find tons of interesting nature’s arts there in DVNP including Artist’s Pallet, Devil’s Cornfield, Twenty Mule Team Canyon, to name a few. 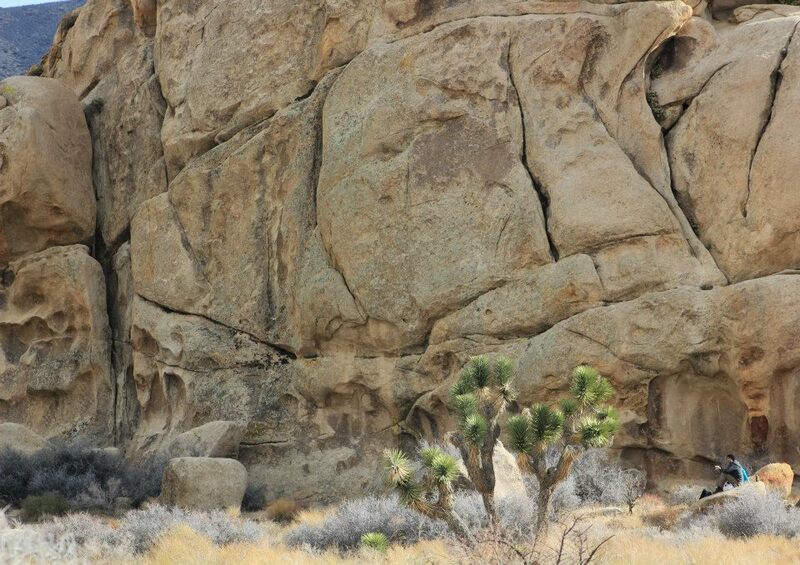 … in Joshua Tree National Park. You can find tons of interesting rock formations there. We are getting too strange so I’m going to stop from here. If you’re intrigued by one of these odd places, either click to the ones I linked or try the Search tab. All lead and supporting performances were nominated at the Oscars. The album I recommended was the self-titled album Vampire Weekend.This video, however, is from the second album called Contra. It’s a fun, fun, fun, fun video. Stick to the end, I love the bell poundings. Part 1 includes a binocular-shaped building, a house filled with graffiti, the last place in America, a yard full of junk arts, a painted mountain, a bunny-filled house, towers made of junks, and an apartment filled with mystical creatures decorations. I still crave a visit to the Joshua Tree park. Glad to at least provide you with a virtual tour, Gilly. Thanks PJ. How you’ve been? You welcome Rommel, so so n u…. Great pictures. I hope to get to see some some of them. Great pictures. I hope to get to see some some of those places. Thanks for comment and visit, Julia. Well done post! :)) Coincidentally, my godmother was just at the dinosaur sculptures in Anza Borrego last week during her trip to California to visit me. I was at work so I couldn’t join, and she kept sending me pics of her and her boyfriend with dinosaurs, and I was super surprised, wondering where she found dinosaurs in Anza Borrego. She explained the history of the sculptures to me. I couldn’t believe I hadn’t heard about the project! 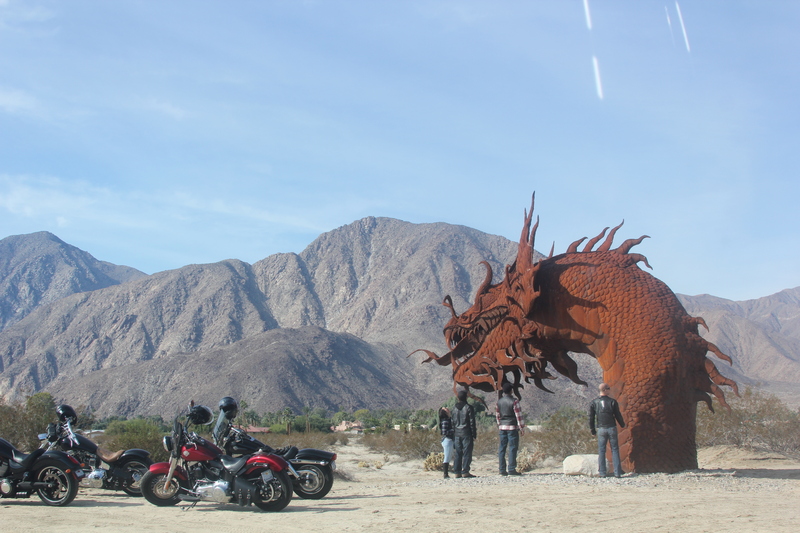 Such a beautiful desert, and the sculptures would definitely make it worth the trip. Yeah, Anza Borrego is way out there but even further exploration of it is definitely worth the trip. I plan to go back when I get back to Cali. 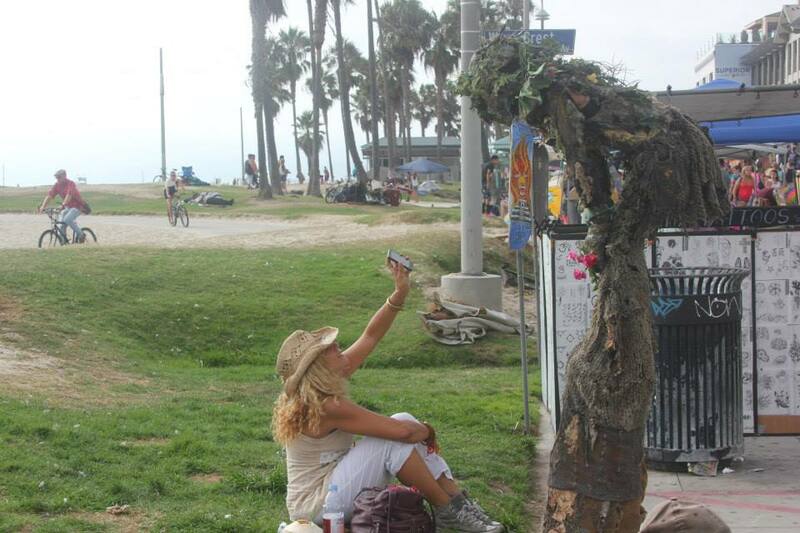 She must’ve gotten nice pictures with the sculptures. They’re wicked cool. I HAVE gum on the wall in gumball alley! Years old. Two occasions actually. Once with my brother and once with my daughter. Rumor has it that that alley used to be about a foot wider. LOL. Nice that you left a legacy there. 😀 Thanks for the comment and visit, midmiocene. That bubble gum alley is just gross. I hope someone has sanitized those walls. 😉 And I looove Joshua Park, it has such an eerie feeling. I don’t think they sanitize the area. Otherwise, they have to do it continually. Rommel, thank you for the lovely California trip. 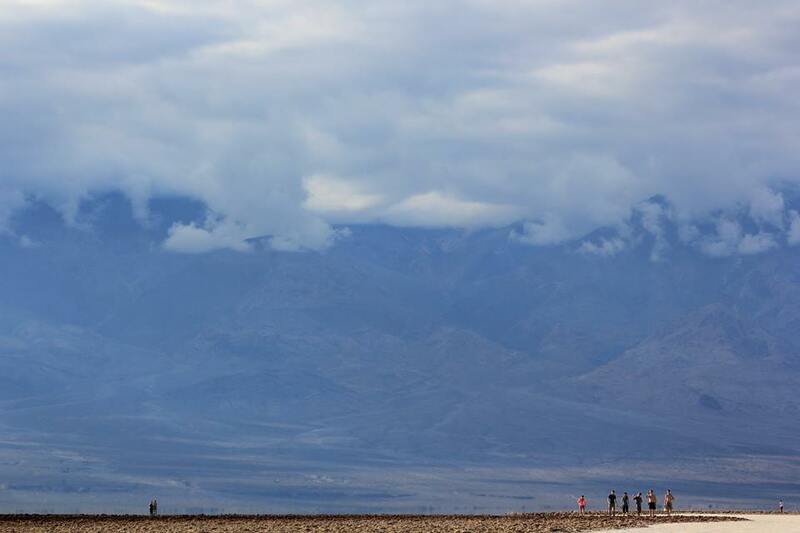 I love the most pictures where the Clouds, Mountains and narrow line of Earth with group of people. Great composition! Grrat eye, Alex. Thank you. I thought it would go unnoticed. That pic is so much better when viewed larger. Fabulous images, Rommel. I would love to go there one day. 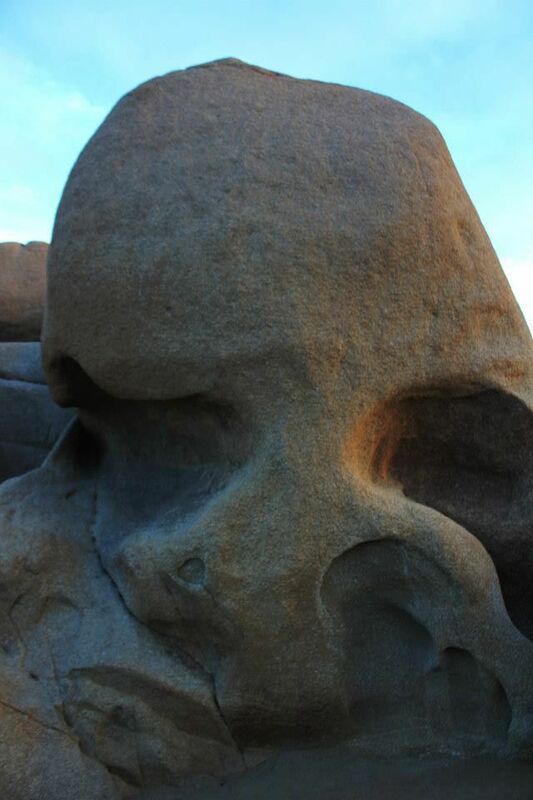 The skull rock is so awesome. Joshua Tree is definitely a top choice for a California trip. CA certainly has it all, doesn’t it! I don’t know the Gehry residence. I would love to see it. Very cool! Gehry Residence is his very first. California is so diverse in many ways. Super interesting! Got to get out in the desert one of these days!! Great post! The best time to go is winter time or close to it. But hey, a lot of people still brave the heat in the desert during summertime… And desert areas, from what I heard, are lovely during spring. Yeah, the wildflowers in spring! Glad to still see a mention on that horse. 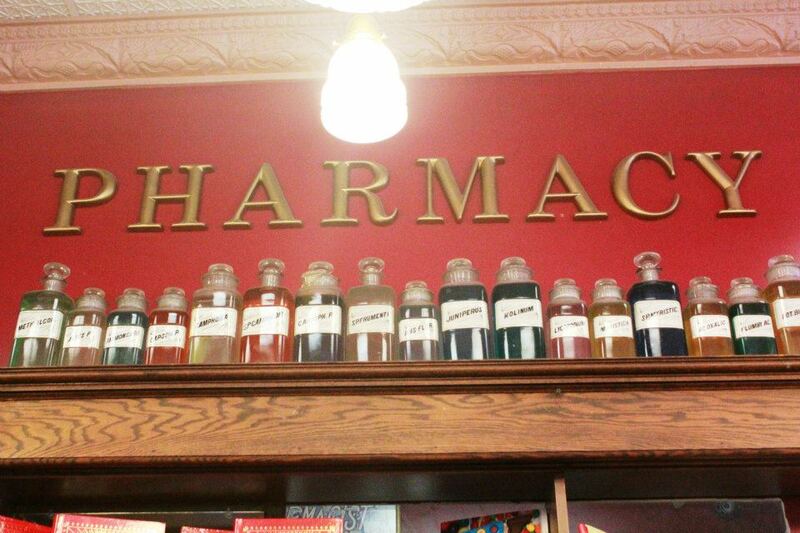 It’s actually a blurry shot, but I still included it there anyway. The metallic sculptures are magnificent to look at. You are so right, Seems like California has got everything, from bizarre to stunning scenes to look at..Thanks for taking me for a visual tour of it Rommel. Hey Rommel- How goes it? 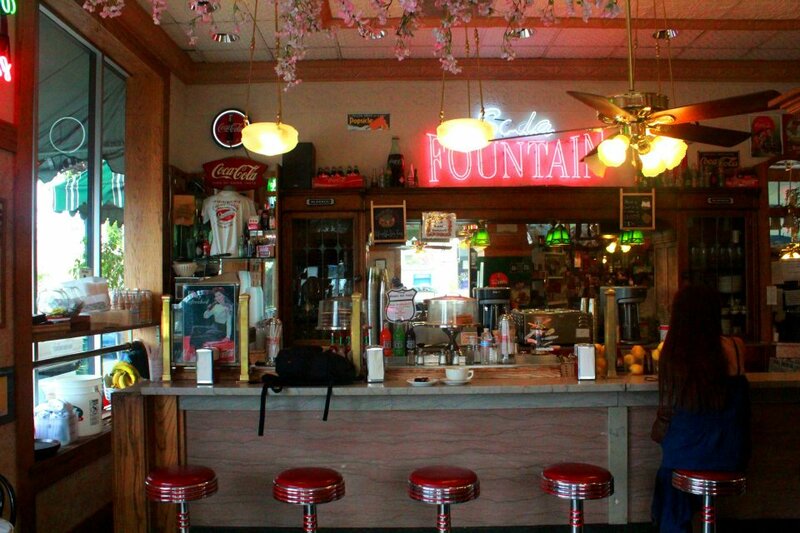 You know I love California- but have only been to a few of these spots. I Am doing something new for me tomorrow though- my first Clippers game- family in tow. Hope all is well in Greece- have been out of the WP loop as of late but am slowly working my way back! Take care. 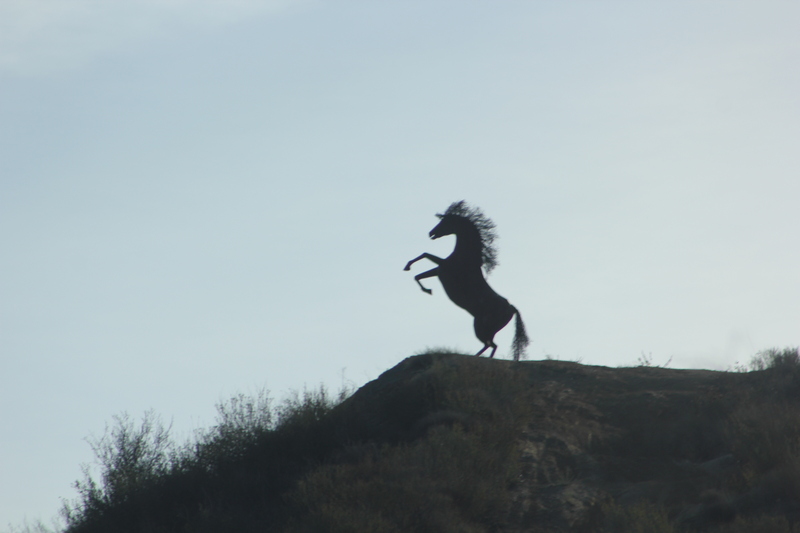 I don’t remember seeing that dragon but I love the stallion rampant on the hill. Your post makes me homesick for California. I love Frank Gehry. Intersting places. Thanks for sharing them. Makes me want to visit now!